Aim: Orthodontic treatment helps to improve not only facial esthetics but also functional occlusion of an individual. The aim of this study is to find out different factors which motivate patients and their parents to seek orthodontic treatment. This study also aims at determining any differences according to gender in perception of different motivational factors. Materials and Methods: The sample consisted of 35 male patients and 70 female female in the age group of 12–23 years. They along with their parents were given a questionnaire to answer before the start of the treatment to find out the reason for seeking orthodontic treatment. Results: There were a high percentage of patients (88.6%) who wanted the orthodontic treatment to improve their facial esthetics. Nearly 98.1% of parents sought this treatment to make their child look pretty. 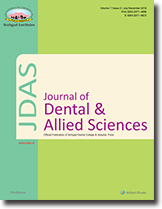 Conclusion: There are many factors which motivate the patients and their parents to seek orthodontic treatment like improvement in dentofacial esthetics leading to enhancement of self-esteem and providing better career opportunities. Background: Noncommunicable diseases (NCDs) have emerged as serious public health problem worldwide affecting all the populations across the globe in general but low- and middle-income populations in particular. The current study was planned with the aim to assess the awareness among rural adolescents about NCDs and their risk factors. Materials and Methods: A cross-sectional study was conducted in Miran Sahib Zone of RS Pura Block. Students from intermediate classes from ten intermediate level schools, five government, and five private setup were selected for inclusion in the study. A predesigned, pretested, and self-admissible questionnaire was developed by three public health experts for use as a tool to collect the data. Results: Male respondents had better awareness about NCDs (P < 0.0001). A higher percentage of male students thought that lifestyle changes could prevent NCDs (P < 0.005). Conclusion: There is a need to reinforce the knowledge among adolescents in those areas about NCDs where they are lacking some knowledge. 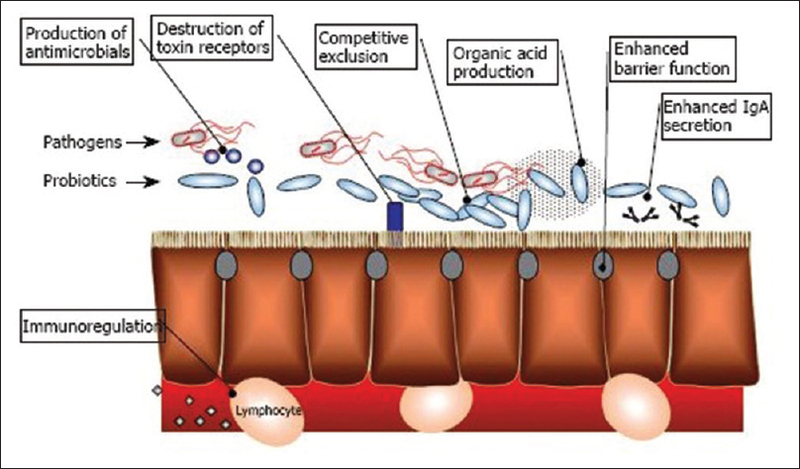 Statement of the Problem: Normal mastication in humans generally favors one side and then the other, but most people chew more on a particular side, which means they have a preferred chewing side (PCS). The relationship between the use of one habitual chewing side and the peripheral factors involved in temporomandibular disorders (TMDs) is not understood yet. Aims and Objectives: The objective of the study is to explore the effect of chewing side preference on temporomandibular joint (TMJ) in adult population. Methods: One hundred and seventy healthy dentate subjects (148 female and 22 male) were selected and clinically examined for this cross-sectional study. Chewing side preference test and TMJ clinical examination were conducted. Subjects were classified into unilateral and bilateral chewers, signs and symptoms of TMDs were recorded. Results: Statistical analysis was performed to evaluate the difference between the subjects regarding preferable chewing side, distribution of subjects with respect to signs and symptoms of TMDs, and frequency of symptoms in habitual chewers using Chi-square test, at 5% significance level. The results showed that among all the subjects, 80% preferred unilateral chewing side and there was a significant correlation with asymmetric factors of TMJ with masticatory side. Conclusion: Within the limitations of the study, it may be concluded that the presence of a PCS affects the morphology and parameters of TMJ. This signifies that it is not only sufficient enough to maintain anatomic health but also dynamic and functional factors should be considered to avoid TMDs. Extraction of a tooth means failure of a conservative approach which may give rise to the act of a reconstructive surgery i.e. immediate implant placement technique with the immediate loading. This therapeutic option of immediate loading compensates the negative psychological effect of extraction. There are two main advantages of immediate loading. The first is the biological effect which consists of the osseointegration of the implant despite the constraints experienced in the healing stage. The second is the imperative effect that is logical and consists of the subsequent production of the surgical and prosthetic stage in the shortest time. Dermatofibrosarcoma protuberans is a low-grade malignancy that rarely occurs. When it occurs, it typically involves the trunk or extremities, but seldom occurs in the maxillofacial region. Its management in the maxillofacial region characteristically presents an esthetic challenge to the surgeon, especially because its surgical management often requires wide excision. We report a case of dermatofibrosarcoma protuberans of the lip and adjacent structures in a 42-year-old male. Wide excision of the tumor was done, and immediate reconstruction was achieved with a combination of platysma flap and Karapandzic lip reconstruction technique. The acceptable esthetic outcome was achieved, and the patient is currently being followed up. Although dermatofibrosarcoma protuberans infrequently occurs in the maxillofacial region, it may occur nonetheless; therefore, clinicians should be aware of this possibility. 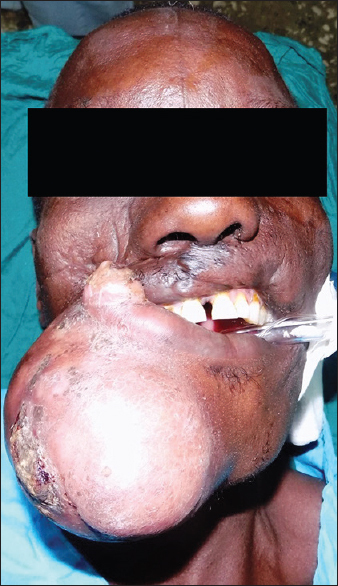 Surgical treatment of this tumor in the maxillofacial region often presents daunting reconstructive challenges. Nasopalatine duct cysts (NPDCs) are the most common developmental epithelial nonodontogenic cysts occurring in the oral cavity. This fissural cyst develops from epithelial remnants of nasopalatine duct. However, their origin is still uncertain. 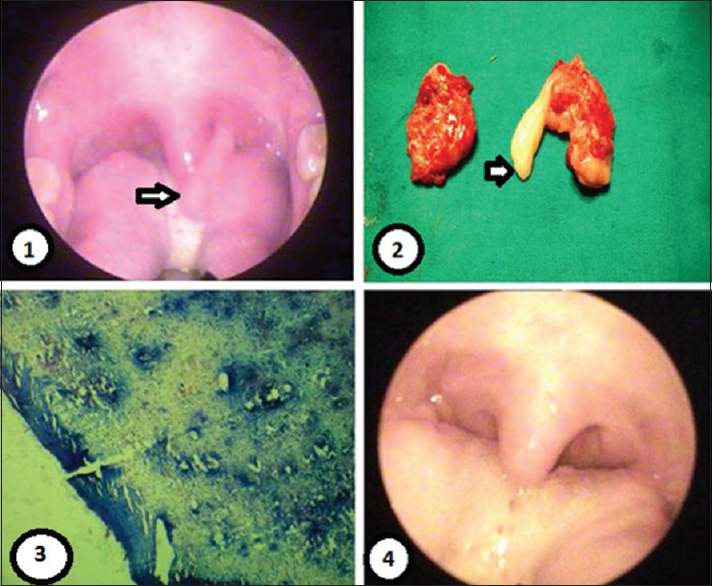 These cysts are usually asymptomatic and the most common clinical symptom reported is swelling in the anterior part of the palate, just behind the palatal papilla. We report a case of NPDC in a 19-year-male patient with classic clinical, radiological, and histopathological features. Odontogenic keratocysts (OKCs) are locally aggressive, the developmental cysts arising from the remnants of the dental lamina. They may be associated occasionally with an impacted or unerupted tooth and may thus resemble a dentigerous cyst. Formerly considered as an odontogenic tumor by the WHO in 2005, it is currently reclassified under cysts and has retained its former name of OKC. 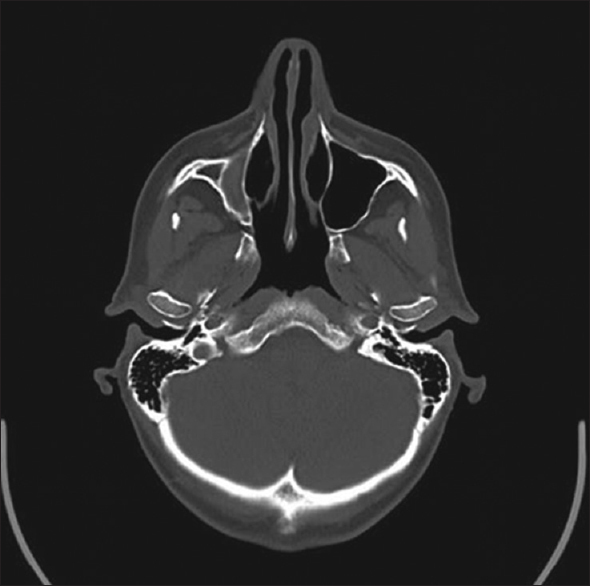 It has radiographic features ranging from unilocular, lucent lesions to multilocular variants. Management of OKC is through surgical enucleation followed by surgical enucleation due to the high possibility of recurrence. 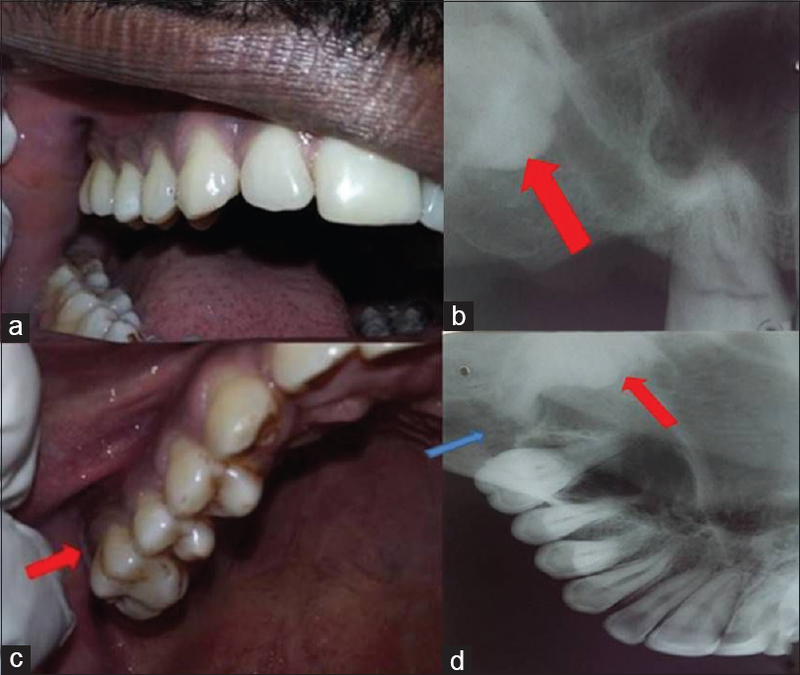 We present a case which was diagnosed based on cone-beam computed tomographic findings as a dentigerous cyst and treated accordingly. Histopathological features were suggestive of an OKC. The patient reported back with a recurrence which was then managed with treatment protocol for OKC. Clefts of the upper lip and palate are the most common congenital deformities affecting the orofacial complex in humans and are associated with many problems, including cosmetic deformities, dental abnormalities, and difficulties in speech and swallowing. As the public awareness of availability of treatment for this anomaly is minimal, the age of the patients reaching for primary treatment varies from few days to late forties. Although the aim and aspiration is to provide holistic multidisciplinary care, the priority is getting treatment for all cleft patients. 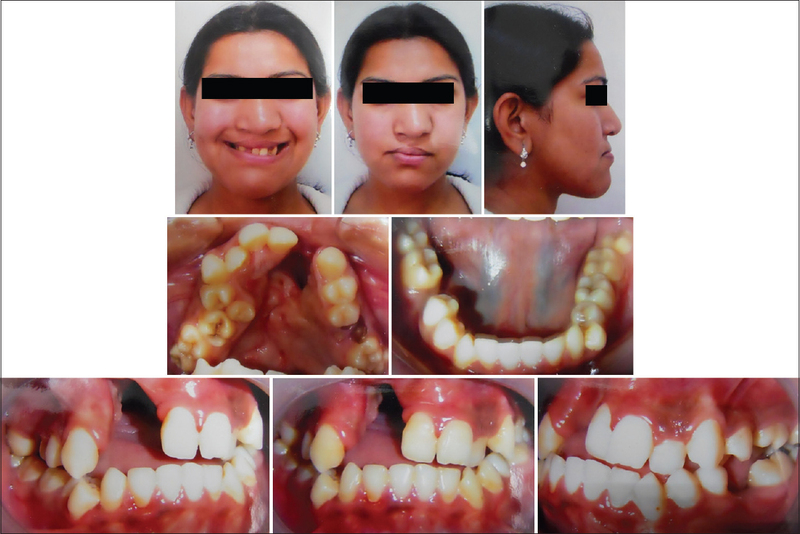 This paper reports successful orthodontic management of an adult female with unilateral cleft lip and palate (CL/P) who denied surgery for her alveolar defect, so conventional orthodontic treatment was carried out with the initial expansion of maxillary arch followed by alignment of teeth to achieve stable occlusion. The final defect was covered with an obturator which also replaced the missing tooth.